Celebrate Brooklyn's free concert series at the Prospect Park Bandshell continues tomorrow evening with a free show from Sonic Youth! Gates open at 6PM and the show begins at 7PM. And what's on tap today, you might be wondering? 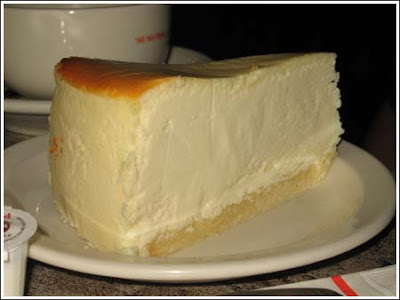 Well that'd be 60 cent slices of cheesecake at the original Junior's in Brooklyn Heights. The cost of a slice normally? $5.99. Enjoy!